It’s not fair and never has been. But it’s pretty much the reality. Age-ism remains in full bloom when it comes to renewing or canceling series of all shapes, sizes, genres and colors. And I’d say that even if I weren’t well beyond this advertiser-prized demographic. Well, maybe I wouldn’t. The age composition of the audience is less important if you’re HBO, Showtime, Starz, Netflix, Amazon Prime or other extra-fee-per-month “premium” or streaming networks. For them, your money’s good even if your teeth are in a cup and a zombie can out-run you. Here’s one notable example. Longmire, canceled by A&E because its audience was deemed to have too many liver spots, got picked up by Netflix and will start streaming all 10 Season 4 episodes on September 10th. Those old enough to have experienced the 1960s first-hand shouldn’t get overly cranked up, though. Longmire is an aberration -- sort of like Betty White. The easiest path to renewal is still a solid percentage of 18-to-49-year-olds, even if your total viewership looks deficient on paper. This brings us to the FX network’s always helpful statistical compilations, which it puts out on a non-partisan basis during every TV press tour. One of the latest is a ranking of all prime-time series that aired from Dec. 29, 2014 to May 17th of this year. Streaming sites are excluded because they still won’t provide any audience numbers for individual shows. And NBC’s Sunday Night Football, which would have been No. 2 among 18-to-49-year-olds, finished its regular season in December. 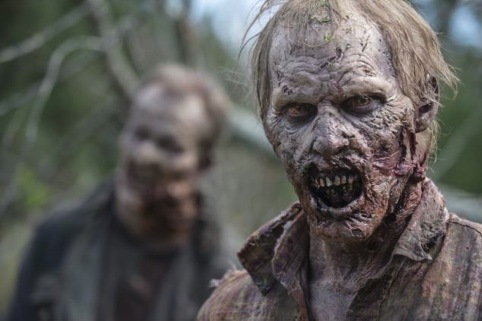 The kingpin of the 18-to-49 kingdom is AMC’s The Walking Dead, which has a median age of just 36 and ranked third in total viewers with 20.067 million in the Live + 7 Day Nielsen ratings. But here’s what scares the competition even more. An astonishing 13.228 million of those viewers were in the 18-to-49 motherlode. Walking Dead also ranked No. 1 with 18-to-34-year-olds, averaging 6.775 million per episode. Here are the other top 10 members of the 18-to-49 club. Among these top performers, only Walking Dead, Empire and Game of Thrones drew more than half their total audience from the 18-to-49 age range. GOT was the biggest over-achiever, ranking just 42nd in total viewers. Two animated Fox series, The Simpsons and Family Guy, also pole-vaulted into 18-to-49 prominence despite relatively low total viewer ranks. The Simpsons, which begin its gazillionth season this fall, ranked 50th in total viewers but No. 12 among 18-to-49-year-olds. Family Guy jumped from 88th to 38th place. In the cable arena, AMC’s Talking Dead rated 65th in total viewers but 13th with 18-to-49-year-olds. FX’s American Horror Story: Freak Show soared from 74th to 18th place in those two ratings groups while AMC’s Better Call Saul was almost as impressive with a 72nd place finish in total viewers and a No. 19 ranking in the 18-to-49 demographic. Both of the Fox cartoons and the three above cable series all drew more than half their audience from the 18-to-49 pool. Your renewal prospects are solid gold if you bat more than 50 percent in the 18-to-49 league. Let’s look at a few opposite cases. CBS’ Blue Bloods ranked 7th in total viewers with an average of 15.234 million per episode. But it skewed almost older than your neighborhood cemetery with just 2.659 million 18-to-49-year-olds. That put Blue Bloods in the 60th spot and also “on the bubble” regarding the year-end decision-making on whether to give it another season. The Tom Selleck cop show got a reprieve this time while low overall achievers such as ABC’s Marvel’s Agents of S.H.I.E.L.D. were considered shoo-ins for another season. Blue Bloods averaged 8.242 million more total viewers than S.H.I.E.L.D., but trailed the ABC show among 18-to-49-year-olds by 695,000. In the rather twisted economics of network television, S.H.I.E.L.D. is considered the stronger property. Furthermore, Blue Bloods’ median age is 63 while S.H.I.E.L.D.’s is 47. Why the premium on 18-to-49-year-olds and the discounting of older viewers? Whether or not it really makes sense anymore, younger viewers are still seen by Madison Avenue as more “impressionable” buyers of new and often crappy products while grandma and grandpa supposedly are set in their ways and wedded to many of the things they’ve been buying for years. This is the argument even though relative oldsters tend to have far more disposable income than their younger descendants. Still, Jimmy Gamer can always ask his elders for enough money to buy a somersaulting cell phone and the latest Gargantuan Paul Bunyan Mega-Burger -- piled high with four all-beef patties, six slices of bacon, four melting cheeses, three onion rings, a fried egg, hash browns and cotton candy on a Frisbee-sized bun with baked-in M&Ms. Let’s close by telling you why CBS’ CSI: Crime Scene Investigation got canceled and Fox’s Brooklyn Nine-Nine didn’t. CSI, which will get a two-hour movie sendoff on Sept. 27th, still did quite well in the total viewer ratings, ranking 31st with an average of 11.108 million. Brooklyn Nine-Nine was 98th in this measurement with 4.407 million. Among 18-to-49-year-olds, CSI ranked 61st with 2.629 million. Brooklyn Nine-Nine wasn’t all that much better with 2.751 million viewers and a 57th place finish. But even though CSI drew 6.701 million more total viewers, its percentage of 18-to-49-year-olds stunk when compared to Brooklyn Nine-Nine’s. Remember that rule of 50 percent? Brooklyn Nine-Nine easily surpassed this threshold while CSI’s 18-to-49-year-old audience was less than 25 percent of its total. In the end, that’s the overriding reason why one cop show gets a body bag and the other continues to patrol prime-time. From a critical standpoint and even though I’m an ancient mariner, I’m glad Brooklyn Nine-Nine survived. But 11.108 million viewers were still tuned to CSI every week. Problem is, they just weren’t the “right” ones.